Emily Oldfield reviews the latest release from the London wonksters who have just finished a tour with Manchester’s MOLD! Ever wondered what the sound would be like if you let a group of people loose in a school music department? Perhaps you’ve already tried it yourself. 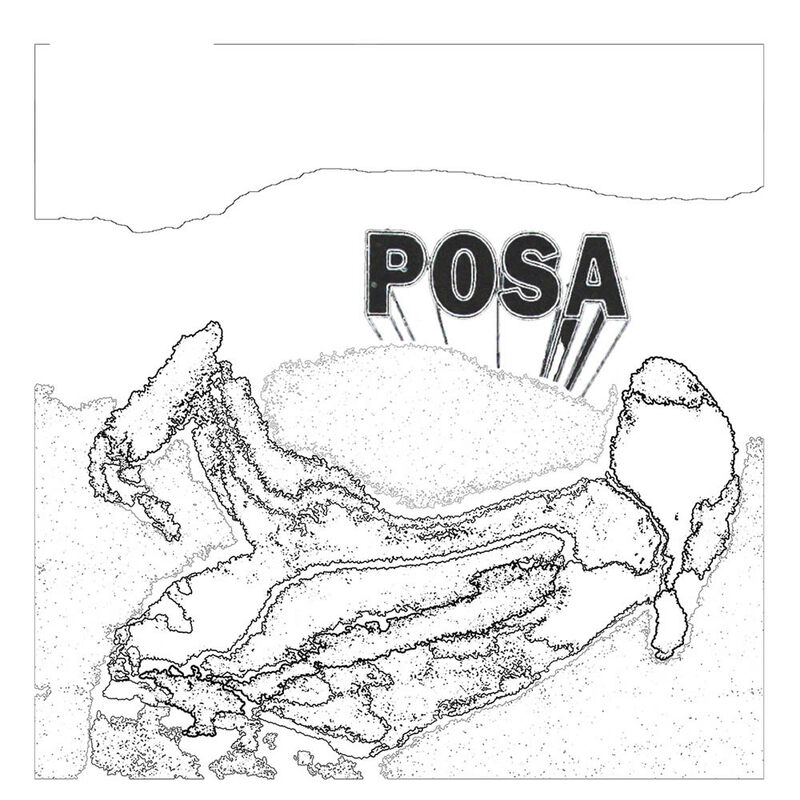 But POSA’s new single, ‘What About Long John’ takes creative chaos to the next level, not just playing those instruments but pummelling them, creating a multi-layered mash-up which shoves two fingers (and then some) in the face of flacid alt-rock releases which seem all-too-common now. Hello, interesting. Got a friend who says ‘but I just want to listen to something different?’. Stick this on for them. ‘What About Long John?’ is out now on Do Your Best – and it’s like someone has tipped all the weird and wonderful outpourings and anger of the mind (or at least mine) and condensed it into a track. In music, it takes guts to give people a dose of chaos, but POSA do just that – and still with a clever sense of balance which stops the whole thing from falling apart. There’s almost a sense of the carnival to it. 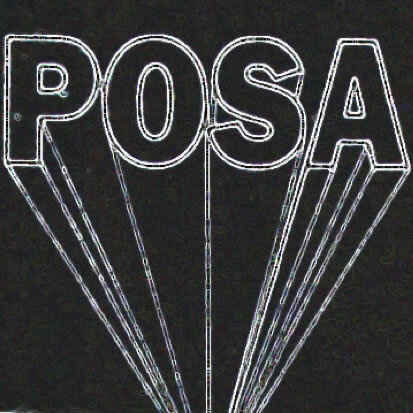 Straight off the back of the single, London-based POSA filled out each night of their co-headline tour with Manchester-based band MOLD – bringing more people into the chaos. So why not get involved? The track opens with distorted shouting and then a warp of noise, before chaotic, naughty keys and guitars build to spiral in the ear. Topped with vocals which rush in like a volley of dramatic despair, largely indecipherable, the same sounds undulating and exposing anger – it feels like being confronted with the sensory accumulation we face (but try not to acknowledge) in the every day. Interestingly, throughout this, the drums manage to keep a rhythm, allowing the track to swell and shatter and sweat out its anger whilst still having a body to it. Even a cello comes in, gearing up the mood of the music for a dark sort of plunge – and a part which follows which I guess could be a more obvious verse. I can hear ‘Long John’ in there. I don’t really want to attach distinct definitions and sections to this treat of a track though, I just want to thrash around to it. To me, that’s a good thing. There’s certainly plenty of build behind it, the vocals particularly impressive rather than articulate – exposing some primal part which works well with the instrumentation: barking, billowing, brilliant. As the track goes on, the screamed lyrics grow faster and faster, like a person pushing themselves and breaking out into a desperate run. Then we have a slight change in texture, with more shaken rhythms – but it’s not long before the sound swerves back into its corridor of chaos. The number of layers, rhythms and instruments that are managed in this track is certainly impressive… and it even ends on a tremulous, isolated drumbeat. Just over three minutes and I feel like I’ve had a unique experience. 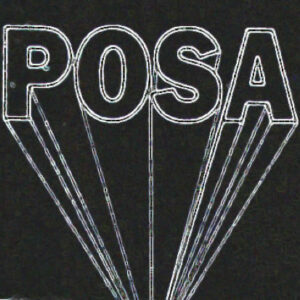 POSA are giving us something special here. Why not share it with your friends and colleagues? Blast it on the office. The ones that run away are not ready for the chaos, the ones that stay and thrash around are your friends. I’m certainly enjoying it. Emily Oldfield writes for Louder Than War and her author page is here.